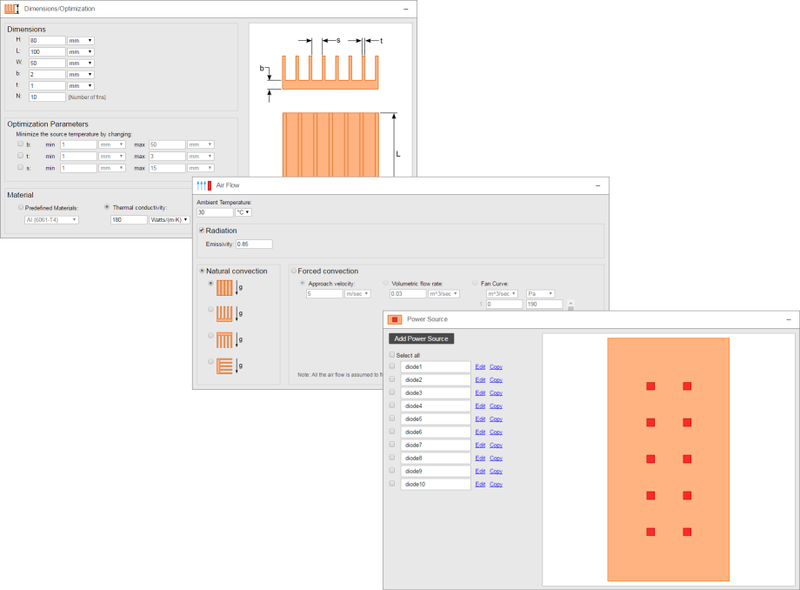 Iterate though multiple heat sink design analyses in a few minutes to find the best design for your application and avoid building multiple costly prototypes. No need to guess what heat sink dimensions produce the lowest temperature design. The calculator will automatically determine them for you. Simple and straight forward inputs make it easy to enter your heat sink dimensions, heat source values and flow conditions, and immediately get results. 1. Enter heat sink dimensions. 2. Select the modes of heat transfer. 3. Specify the locations and power of heat sources. 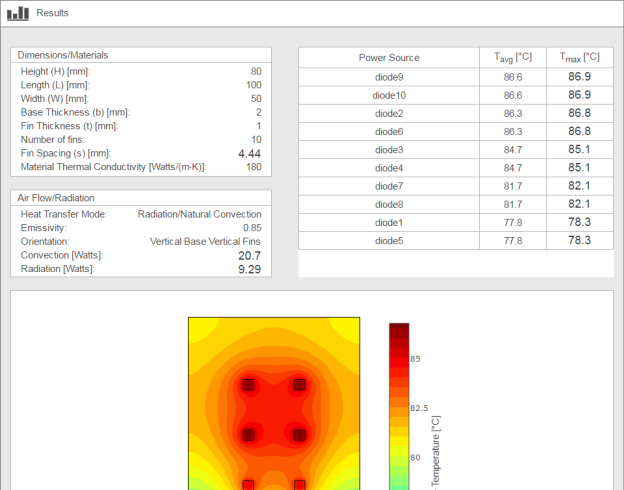 Analyze natural convection cooled heat sinks in multiple orientations for your application. Include radiation and specify the surface emissivity for further accuracy. Are you using a fan for high power components? Evaluate the fan cooled heat sink's performance by entering the fan curve data points. Heat source temperatures are clearly tabulated in order of highest temperature for a distraction free review. 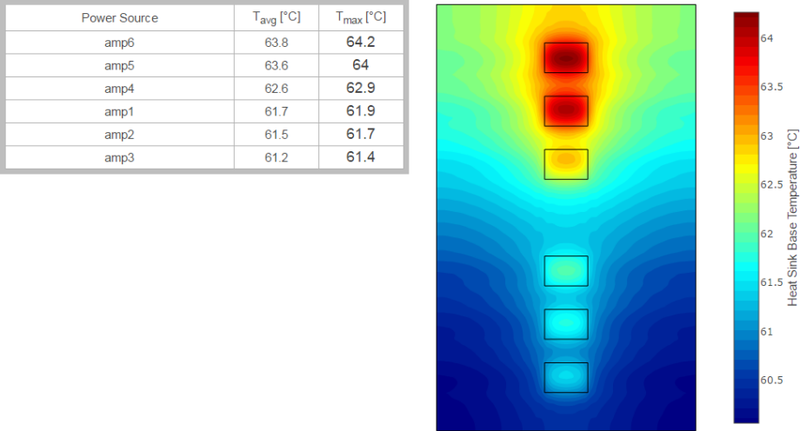 The heat sink base temperature contour plot allows you to evaluate alternative locations for your heat sources to obtain the lowest temperature.